Missouri Education Watchdog: Teacher Destroys Alabama Chamber of Commerce's Common Core Talking Points. He Calls Them "Total BS". Teacher Destroys Alabama Chamber of Commerce's Common Core Talking Points. He Calls Them "Total BS". Time for the pro-Common Core crowd to figure out the difference. Their "facts" are theories and opinions. Chip Cherry, President and CEO of the Huntsville/Madison County Chamber of Commerce, wrote a pro-Common Core opinion piece in al.com Why Alabama's students need Common Core State Standards (Opinion from Chip Cherry). If you have been following CCSS you recognize these talking points that are offered without any research/data to prove their truthfulness. Read the post about the cardboard bicycles and the issue with CCSS is comparable. There's salesmanship and then there are the facts about the product. If the sales pitch doesn't give the seller any facts/research/data about the product, but only hype, then the buyer needs to walk away. Quickly. Yesterday The Huntsville Times, which doesn’t seem to concern itself with anything resembling accuracy so long as it can stamp the word “opinion” on it, published a piece by the President and CEO of the Huntsville/Madison County Chamber of Commerce written in support of Alabama’s version of the Common Core State Standards (CCSS) called the Alabama College and Career Ready Standards (CCRS). And no, despite having the power of the chamber of commerce behind him, he doesn’t evidently even know how to subtract. Mr. Cherry does a fine job of repeating the CCSS claims made by CCSS supporters, but as with most of the CCSS or CCRS supporters, he offers absolutely no evidence supporting his claims. The Alabama College and Career Ready Standards are aligned with the Common Core State Standards, developed by the National Governors Association and the Council of Chief State School Officers more than a decade ago and voluntarily adopted by 45 states plus the District of Columbia. From the beginning Mr. Cherry is attempting to re-write history. It is true that Alabama’s CCRS are “aligned with” CCSS. On this count he is correct. 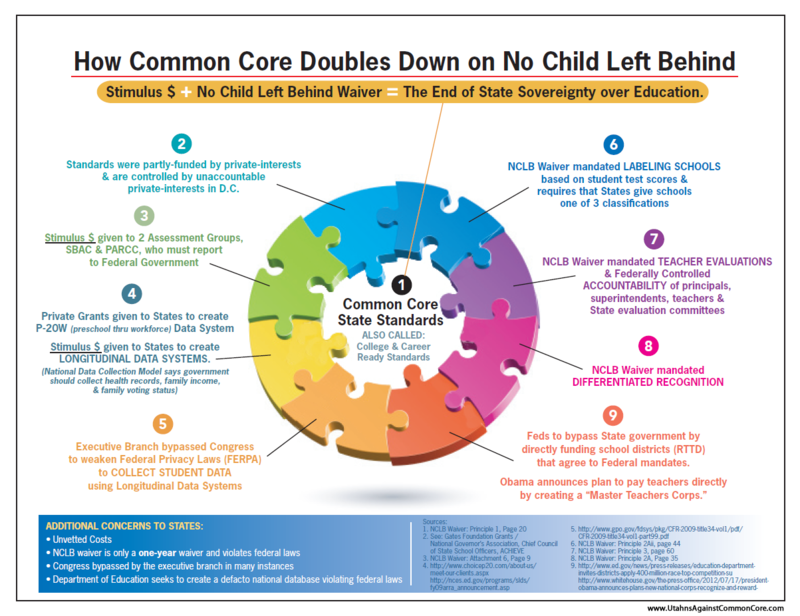 Many CCRS supporters (even many whom I highly respect like Larry Lee) will try and claim that Alabama significantly re-wrote the Common Core Standards. Unfortunately, that’s about the last thing that Mr. Cherry gets right. Work began on CCSS in 2009 by the Achieve organization a group of business leaders and politicians, not “more than a decade ago” as Mr. Cherry claims. More than a decade ago is more than 10 years, not less than half that time. As Achieve included governors from many states, this work was quickly moved to the National Governors Association. This work was funded primarily by The Gates Foundation. There were no teachers on either work group. Not one. In the Feedback Groups of 35 people. which looked at the work accomplished by the work groups, were populated by predominately college professors. There was one classroom teacher involved in one feedback group. These standards were written in private almost entirely by the businesses who will directly benefit from making every school system in the nation teach exactly the same thing: testing and textbook companies. No wonder the Chamber of Commerce supports the adoption and implementation of these standards. He’s correct that 45 states along, the District of Columbia, four territories, and the “Department of Defense Education Activity” have adopted the standards. Most of the states adopted CCSS within a year of their creation by the Gates Foundation funded NGA/Achieve group. From creation to adoption in less than one year. You know what that didn’t leave time for? There was no time for review, trials, assessments, input from teachers, or input from parents. The defense community in particular has recognized that rigorous national standards are essential. A workforce with inferior skills in science and technology will undermine national security as well as compromise financial and information networks. There is zero evidence that CCSS/CCRS will increase rigor. None. It hasn’t been put through any trails of any kind. As I wrote back in February, would anyone in this city other than Mr. Cherry think that implementing a new standard, to the tune of $40 million here in Huntsville alone, without testing these standards in anyway is a good idea? Common Core … robust … rigorous academic standards … global economy … 21st century workplace … competitive … college-ready … Duplicitous buzzwords ad nauseum, we’ve heard them ten thousand times in the barrage of press releases about Common Core. And every one is bogus. “Bogus” is a bit too kind for my tastes. Total BS is more likely. Business leaders, like Mr. Cherry, do love their buzzwords, when they’re trying to sell you something. And that is exactly what the Chamber of Commerce with Mr. Cherry as their leader, are trying to do. This is entirely about the transfer of public money into private corporations. 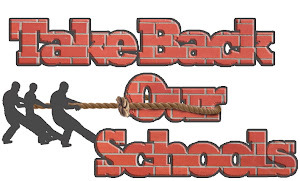 A highly conservative estimate is that implementing common core will cost between $8 and $16 Billion dollars. If Huntsville is any indication, that estimate is far too low. One way to help raise student achievement across the country is to identify what students should know at each grade level, adopt curriculum that aligns with those benchmarks, and assess performance against those same benchmarks, regardless of the state residency of the child. In other words, as he goes on to appeal to our local military families, if a child has to move from state to state, that child should be covering the same material at the same grade level nationwide. The only way such a goal could be achieved is if CCSS were far, far more than a simple set of ”benchmarks.” If this goal were possible, the only way it would be possible would be if the CCSS instituted a national curriculum. Individual states, individual school districts, would no longer be able to decide upon their own curriculum. The only way for a student to move from school to school, district to district, or state to state and be at the same level would be if every classroom, nationwide, were teaching the exact same material on the same day. In other words, for this to happen, CCSS must be a national curriculum. The standards have also been misinterpreted as curriculum or content. Curriculum – what is taught in the classroom – is still determined in Alabama by local education districts that choose from a list of options approved by the state. Well, sir, which is it? Either we’re going to be uniform nationwide or we’re not. But we cannot be uniform without a uniform curriculum, you know like the book of criteria that Core Authors released to textbook publishers about what should be in a Core curriculum. Creativity in a classroom? What a waste of time when there are tests to be taken. Mr. Cherry wraps up his “opinion” the way he began–with the assumption that if we’re not “Number 1″ that education has no benefit. In 2010, we ranked an embarrassing 40th in the nation. Since then, we have advanced six places — not good enough, but a genuine beginning. Our continued progress is linked to the State’s Plan 2020 that is based on rigorous academic standards adopted by the State Board of Education in 2010. [CCSS/CCRS] enable states and even individual schools to gauge their achievement against a national standard. You know, Mr. Cherry, you might want to read up on those “rigorous academic standards” adopted by the State Board of Education in their “2020″ plan a bit more. It seems that those rigorous academic standards are dramatically different depending on one’s race or ethnicity. But you see what he’s saying here, right? Being 40th out of 51 (counting the District) is “embarrassing.” Being 34 out of 51 is, too. Honestly, I know that I live in a state that has brought home the National Championship in football for the past 4 years, so Alabama likes to be #1. And there should only be one #1. But education does not work that way. The student who ranked #2 still received an excellent education. In fact, if the education was individualized to meet the student’s needs, the student “ranked” #23,000 out of 23,000 also received an excellent education because it met that student’s needs. Just because my son, who is on the autism spectrum, will likely never score as well on a standardized test as my daughter, who is not on the spectrum and is usually at the top of her grade levels in the “rankings” does not mean that my son is receiving a substandard education. His education is just a valuable to him and to his future ability to contribute to society as the education that my daughter is receiving. In fact, it is more valuable for this simple reason. My daughter will contribute to society regardless of the education she receives. My son needs special assistance to reach that goal. Education is not about being “#1.” It’s about finding a way to bring all of our children into society in such a way that they can contribute to it. Rankings are for sports teams, not for children. And anyone who tells you otherwise is trying to sell you something. To the tune of $16 billion dollars. No thanks, Mr. Cherry. Your vision of education is fundamentally flawed. If you were an actual educator, perhaps you could understand that. As it is, it would be best if you simply sat down and shut up. You’re embarrassing us. Russell offers a brilliant factual response to an opinion piece. Please leave a comment for him at his site. 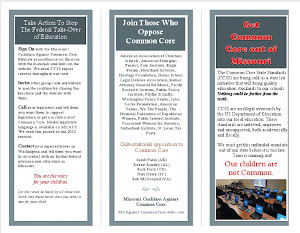 The Chamber of Commerce should be ashamed of the tripe (or total BS) it is churning out in favor of Common Core. You are welcome. Thanks for a fabulous retort. 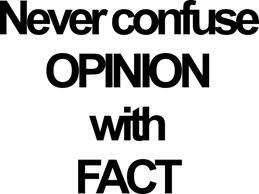 I am so weary of talking points with no research, data, or based on best educational practice. As a mother of a special needs child myself, I am furious about the reformers' definition of education. You nailed it!